Fine Arts are considered to be an integral component in a child’s education. 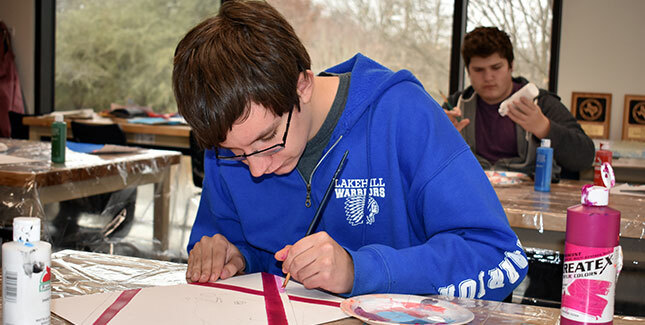 Through opportunities in the visual arts, students develop self-assurance, cooperative leadership skills, appreciation for other cultures, and self-esteem. Visual Arts courses are designed to develop skills necessary to implement the elements and principles of design in a variety of projects. Students are introduced to a variety of techniques and mediums.